Do you have a heritage tourism related project in mind for your organization? Perhaps you are planning to restore a historic building, create a new museum exhibit, build a visitor center, develop a walking tour, overhaul your website, host an event, or undertake some other project that showcases Maryland's unique historical, cultural, or natural resources. Will the project take place in a Certified Heritage Area? If you answered "yes" to these questions, a Maryland Heritage Area project grant may be the funding source for you! 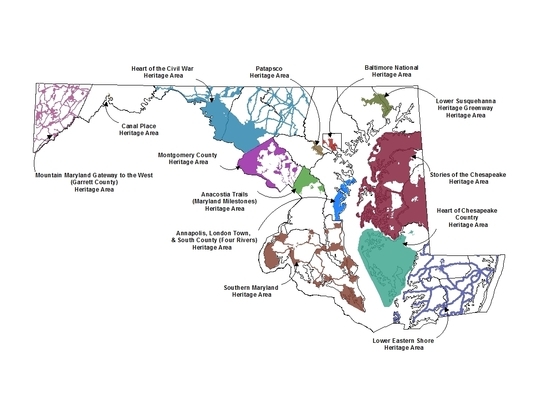 It's a new year and the Maryland Heritage Area Authority (MHAA) is spreading the word that applications are now available online for the FY 2020 grants cycle. 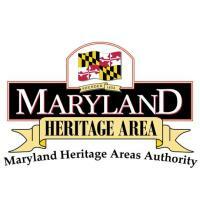 MHAA provides dollar-for-dollar matching grants for capital and non-capital projects located within Maryland's 13 Certified Heritage Areas. Non-profit organizations, local jurisdictions, state agencies, and federal agencies are all eligible to apply. Intent to Apply forms, which are short preliminary applications, for this grant round are due online on January 31, 2019 by 11:59 pm. Non-capital MHAA grants are awarded for up to $50,000 per project, while capital MHAA grants are awarded for up to $100,000 per project. Projects seeking less than $5,000 in grant funding are not eligible for MHAA project grants. MHAA requires that both capital and non-capital projects support heritage tourism related activities or infrastructure. All grants must be matched with non-state funds. In-kind services--including volunteer time, donated professional services, and donated materials--can be counted as a portion of the required dollar-for-dollar match. MHAA will be holding a series of informational workshops and webinars to provide guidance to potential applicants. These sessions will include detailed information about the application process and eligibility. Please follow the links below to register. All workshops and webinars are free-of-charge and open to the public. The same content will be covered in both workshops and webinars. We recommend attending an in-person workshop if your schedule allows. Both workshops and webinars will last for about 2 hours including a question and answer session. The first step in the application process--aside from attending one of the highly-encouraged workshops or webinars--is to submit a simple online questionnaire called an "Intent to Apply" form. This form is due to be submitted online no later than 11:59 pm on January 31, 2019. To begin a new Intent to Apply form, please visit our website. Full MHAA grant applications are due online in late February and early March, 2019. Deadlines for the full applications are set by each of the 13 heritage areas for their applicants. Grant awards will be announced following the MHAA meeting on July 11, 2019. For more information about the application process, please refer to MHAA's FY 2020 Guidelines. These guidelines are updated each year to reflect policy changes.